Close-up of handcrafted hockey goalie for the Calgary Flames. 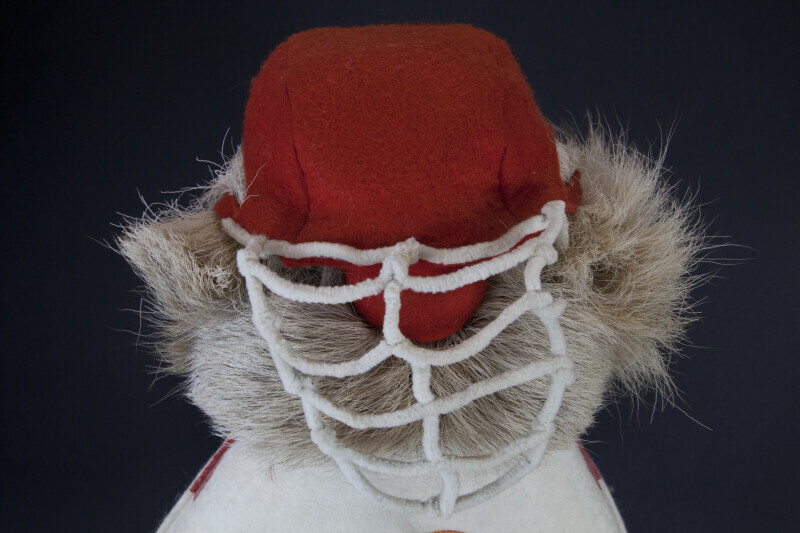 The goalie mask and cage are made with felt and pipe cleaners. The hair is reindeer fur. Tag states: "Fufel: Doll Collection: Handcrafted in Canada 'Goalie'." This figure stands 16 inches (41 cm) tall.